Once you’ve decided to spend your holidays abroad it’s advisable you get to know the rules and customs of your chosen destination. By following some simple advice you will be able to prevent potential troubles from spoiling your time off. Before you leave, check the details of your passport as many countries require at least 6 months of passport validity. If your children are registered within your passport, you should make sure their details are correct and their pictures are there. The document should not be damaged, stained, or have extra writing in it. Keep it safe during the whole duration of your trip. While it’s necessary to hand over your actual passport to a border guard, countless other situations (e.g., hotel desks) may require nothing more than a copy. Make sure you have an electronic copy as well (for example, saved in your email) as it will make things much easier for you in case the original gets stolen. Always check if you need a visa to enter another country. If so, make sure you allow enough time to process your application as in some consulates the whole process might take a few weeks. 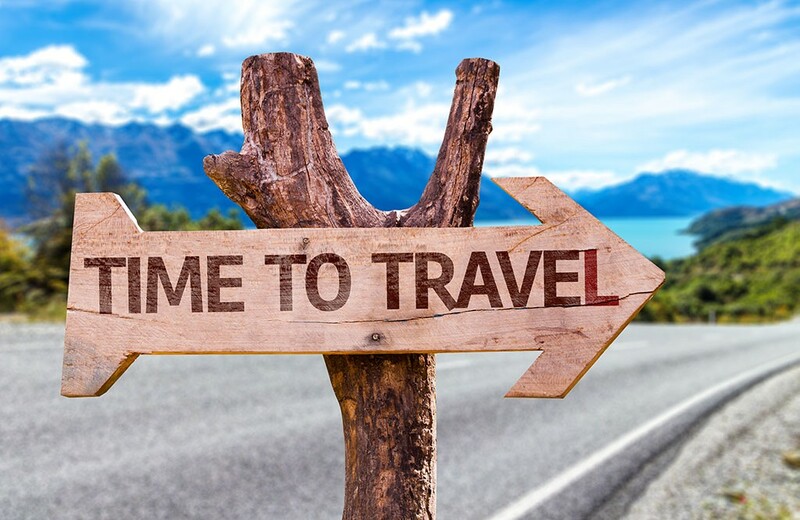 If in order to get to your destination you need to transit through territory of another country, make sure you have all of the necessary transit visas ready (if required), and pay particular attention to their duration based on your return date. Personal details on tickets for all types of transport should match these in your passport. Make sure your planned routes and dates of entry fully correspond with those on your tickets. As you plan your trip you should keep in mind that in a number of countries there are regions where access is limited or forbidden to foreigners. Check it before your trip to avoid legal problems. When underage children travel abroad without their parents or are accompanied by just one parent, in addition to their passport they should have as well their parents’ (or the second parent’s) notary-certified agreement for the trip and the original of their birth certificate. - Don’t rush to try all the local dishes during the first days of your holiday. Let your body get gradually used to the new food, water quality and climate. In addition, some countries require as well a document confirming that you got all of the necessary vaccinations. • Tipping is a form of gratuity payment for received services (restaurant, hotel, taxi, porter, guide etc) and is generally accepted and expected in most countries. A standard tip is about 10% of you bill but overall the amount depends on your generosity and your satisfaction with the service. • Smoking in public spaces has been legally prohibited in most of the EU countries and in America. • In some places in the world, for instance in Singapore, a person dropping litter in a place not intended for it is subject to a large fine. Inform your relatives and friends about your trip and place of stay, leave them your contact telephone numbers. Write down the telephone numbers of the Embassy and the nearest Consulate of Azerbaijan Republic in the country you are going to visit. You should arrive at the airport 2 hours prior to scheduled departure. Check-in desk closes 40 minutes before the departure. Do not forget to fill in the customs declaration (if necessary). Keep the tickets for the checked-in luggage, as you will need them in case of luggage loss. When problems happen we advise you to consult the tourist company or an airport staff. Keep your ticket, passport, cash and other valuables with you at all times. Remember as well that it is not allowed to carry in your hand luggage any sharp objects and anything resembling guns and other weapons, including children’s toys. • On your arrival at the hotel pay special attention to the fire safety rules and check where the nearest fire exit is. • Always take the hotel’s business card so you can contact them easily if you will encounter any problems. • Hotels day begins and ends at noon (12 o’clock). Therefore if you arrive earlier or leave the hotel later than noon you will have to spend some time in the hotel lobby or bar. There is also an option to stay a bit longer but be prepared to pay additional half-day or full day fee. • Never leave cash in your room – no matter how safe the country or how expensive the hotel is. Keep your cash, documents, and valuables in the safe which can be found in most hotels at the reception desk or in the room and, as a rule, can be used at a small charge. • On the check-out day you should pay for all of the additional hotel services, the mini-bar, telephone calls, food and drinks you ordered to your room etc. • Remember that it is cheaper to make international calls from the public telephone in the hotel lobby than from your room. • You should leave the room key at the reception desk each time you leave the hotel; unlike your guest card which you should always keep with you, because it gives you admission to the hotel and serves as a guide to taxi drivers. • If your documents, tickets, credit cards are stolen you should report it to the police and then to the Embassy or Consulate of Azerbaijan Republic. Inform the person accompanying the group (if there is one) of the necessity to redo your ticket and block your bank card. If you rent a car, carefully check all the documents, especially the insurance policy, so that in case of an accident you will not bear large expenses for the damages and won’t get involved in the court trial. Never agree to strangers’ requests to carry their luggage and other stuff through the border, whatever their arguments. Neither you should accept from unknown persons, even for a remuneration, any objects (letter, package, luggage etc. ), which may be used to hide drugs, explosive devices, poisonous substances and causative agents of dangerous diseases.